Years later, I scored seats in the grandstand at the Rose Parade. It was an accident. I didn’t mean to set my best friend’s head on fire. OK, let me just back up a little so I can explain how it happened. The Tournament of Roses Parade is a New Year’s Day tradition, and there’s nothing quite like it. 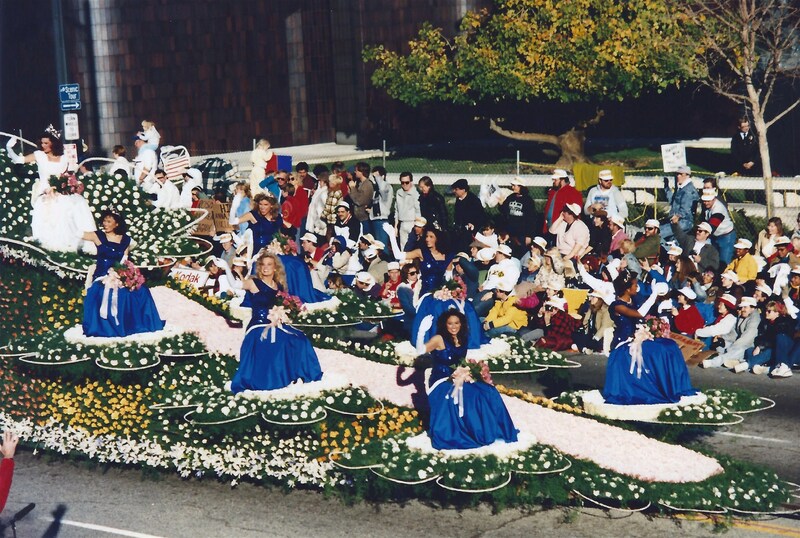 Lots of parades have marching bands and equestrian units, but this one has elaborate floats, all decorated with flowers and plants and rose petals. For many of us who grew up in Southern California, it’s like a pilgrimage to go to Pasadena to see the Rose Parade in person at least once in our lifetime. To secure a spot on the parade route from which to get a good view, we’d celebrate in the street on New Year’s Eve, and then spend the wee hours of New Year’s Day sitting or sleeping on the curb, huddled against the cold until the parade started at 8 a.m.
Yeah, a flare. Those fire sticks that you see on the highway when there’s been an accident. It turned out that this man worked for some law-enforcement agency and every year he was issued a new vehicle that had flares in it. When it came time to swap out his old car, he kept the flares, so over the course of his career he had accumulated quite an inventory of these devices. And he gave one of them to us. My excuse for poor judgment is that I was young and stupid. In retrospect, I have no idea why that guy thought it made sense to give a fire stick to kids in a crowd. Then Bob passed the torch to me. I’m not sure exactly how it happened, but I think I may have been striking a Statue-of-Liberty pose. Bob was closer than I thought, or one of us turned suddenly or something — and the flare wound up inches from the back of his head. I didn’t realize it at first; as he ran away slapping at his scalp, I thought he was doing a comedy bit. What had actually happened was that patches of hair had been burned off clear to the skin, which was blistered. We probably should have gotten medical attention for him, but we didn’t. Bob suffered through the rest of the night; we watched the parade and then we drove home. Eventually the burns healed, his hair grew back and most importantly, Bob’s still speaking to me. But I still shudder at the thought of how much worse it could have been.